At the end of a section of learning, it’s time for the teacher to create an assessment. This could be the end of a unit or chapter, but for what we are discussing today, a summative assessment needs to be created. Instruction is over, and we need to see what the student knows and has retained. Where should a teacher start? The first question that should always be asked is, “Do I even need an assessment?” This may seem like a crazy question. “If I don’t give a test, what will I put in the gradebook?” But if we stop to think about it, not all learning is created equally. In the mind of a student, if something is tested, it matters because it is for a grade. So as teachers, if we test everything equally, we are sending the message that everything matters to the same degree. In the book Good to Great, Jim Collins wrote at length about technology as an “accelerator.” It was important to note that the acceleration technology created could go in either direction. Companies with a clear vision and plan could use technology to improve outcomes rapidly, while those that did not have a solid foundation and invested heavily in technology “accelerated” their demise. The world of education is probably not much different to these companies. Schools that have clear instructional goals, a solid foundational curriculum, and engaging practices can use technology to move from good to great. 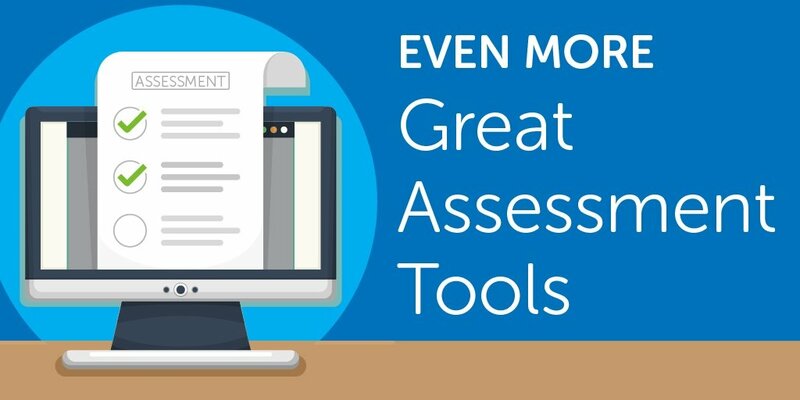 A little while ago, we shared our 10 best assessment apps with you. This article highlighted a number of great tools to use for formative and summative assessments in the classroom. One of the advantages to being a building principal is that I get to see what takes place in classrooms all around the school. I love seeing a great strategy in one classroom, then going to the next classroom and sharing it with another teacher. I think we can all agree that there is not nearly enough of this kind of sharing and collaboration in education. In our school, we have been studying different approaches to formative assessment in the classroom. We looked over about twenty-five different ideas for how to formatively assess, then I asked teachers to try one of the concepts in their classroom and provide me with feedback about the strategy. I didn’t know you could do that with a Student Response System! 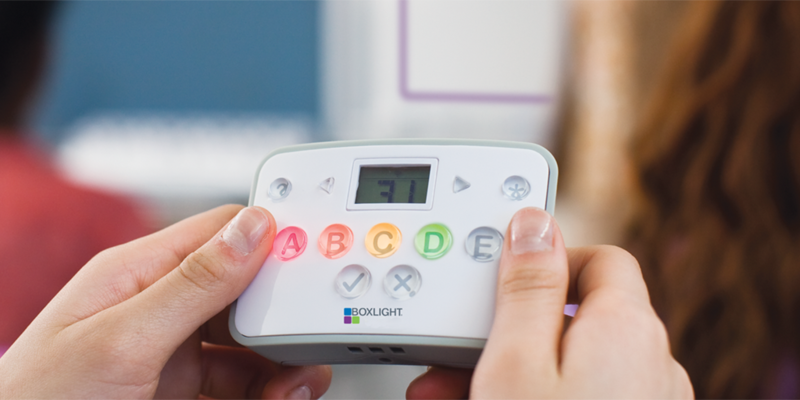 Preparing your students for quizzes, tests, midterms, and finals – or just checking for their understanding – has never been more fun and engaging. We have made the classic games posted by our fellow users new and exciting with the latest Mimio tools and features. All you need to do is add in your questions and start playing! On Thursday, September 20, join Mimio and T.H.E. Journal for 2012 Elections: How to Integrate Student Response Systems into Your Classrooms. Have you seen “The Learning Network” blog in the New York Times lately? They have created a series of lessons on the upcoming 2012 U.S. elections called the Election 2012 Unit. The unit consists of four “mini-units,” and culminates in a mock election (perhaps you will even use your MimioVote™ assessment to conduct your poll). Makes me wish I was back in Mrs. Houle’s class, learning all over again! Get Out The Vote with Free Lessons!! 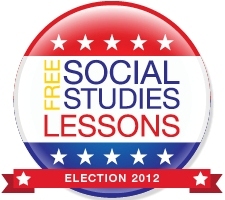 The upcoming 2012 presidential election has social studies teachers across the country excited to return to their classrooms. A presidential election, especially one as hotly contested as the current race, is a social studies teacher’s dream! The election process gives students the opportunity to learn about our democratic process in real time. In this election year, news of the campaign is seen and heard in students’ homes daily on all media – including social media – and shared at the kitchen table. Students often come to class with questions, but sometimes feel disconnected from the political process since they are not old enough to vote. Some students also find it difficult to understand exactly how our political system works, and their confusion often leads to disinterest. Social studies teachers must find a way during an election year to increase student engagement. Teachers must also be able to provide their students with rich content about how we elect a president, so that today’s students can become informed voters. How Can a Teacher Get Students Excited About the Upcoming Election? This is a question most social studies teachers will be asking themselves this fall. However, the answer is really very simple: if you want to get students excited about the upcoming presidential election, you give them the vote! The MimioVoteTM assessment is an incredible teaching tool in a social studies classroom because it puts interactivity into the hands of 100% of your students. With the MimioVote tool in the classroom, every student participates – not just the most eager. MimioVote assessment also removes the fear factor some students have about getting a question wrong, because all of their answers are anonymous. The core of the MimioVote assessment is MimioStudio Gradebook, which automatically records student responses and indicates their progress. Teachers can use the real-time data to measure student achievement and understanding, and they can even generate printed reports. Fall is a very busy time of year for a teacher. How will I find time to create lessons about this year’s election to use with my students? Mimio has solved this problem for you by producing a series of seven teacher-created interactive lessons to teach students about the upcoming presidential election. Each of these lessons is FREE to download from mimioconnect.com. How Do We Elect the President? These lessons are based on proven instructional principles and have been specifically designed for grade level bands K-2, 3-6, and 7-12. No matter which social studies grade level you are teaching, you will find age-appropriate activities for your classroom. 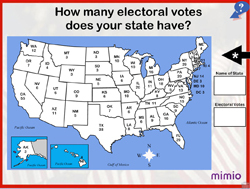 Every lesson includes questions that can be answered using MimioVote assessment. Some lessons even include bonus activities, such as classroom challenges. Each lesson is also fully customizable within MimioStudio Notebook, to meet your students’ specific needs.. Using them in your classroom might even inspire your students to ask for the vote!